Summary: Microsoft Scripting Guy, Ed Wilson, talks about using Windows PowerShell and WMI to work with services. Microsoft Scripting Guy, Ed Wilson, is here. It is that time of the year. I just spent the last couple of hours uninstalling useless software from my laptop. This includes stuff that I intentionally installed and junk that becomes installed with other programs. I also spent a decent amount of time reviewing start-up programs and services. This is pretty much a stop gap measure – it is only a matter of time before I FDISK my machine and perform a complete reinstall. It still seems necessary to reinstall every year, which is a lot better than it used to be. I can remember a time when I reinstalled twice a year. The Scripting Wife has been talking about reinstalling her laptop for a while. I was kind of hoping to avoid doing all that until Windows 10 ships, but now I am not so sure. The problem is that although reinstallation is pretty easy these days, finding all the keys, original disks, and so on that seems to take forever. In my case, it seems that I continually find stuff that I am missing for weeks. I am in the middle of a project now, so I want to avoid that huge time hit for as long as I can. But I did feel the need to do some maintenance and optimization. Luckily, I have Windows PowerShell to aid in the task. To see the running processes first, I need to use the –Descending switch because R (for running) comes before S (for stopped). This information tells me what the service does, what account it uses to start up, how the service starts, and even the executable it uses. This information helps me make the decisions I need. Lately, I have found that when I search for information about services on the Internet, I get pages of spam sites that are useless (at best). 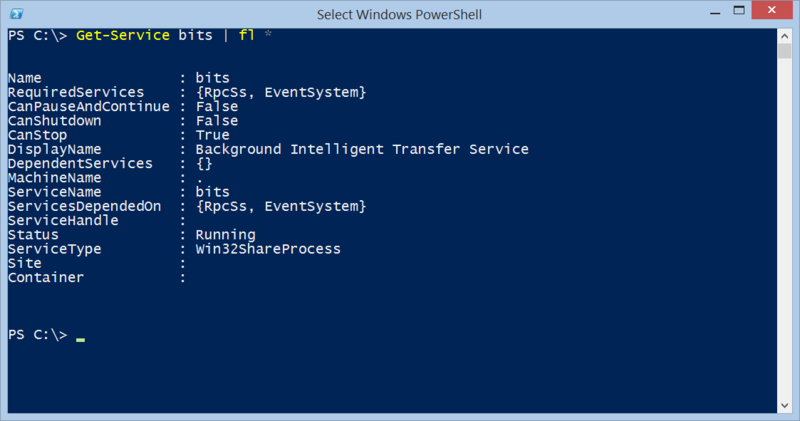 This is why I am glad that I can get this kind of detailed information via Windows PowerShell. When I need additional information, I search TechNet or MSDN directly, and I can normally find good stuff there. 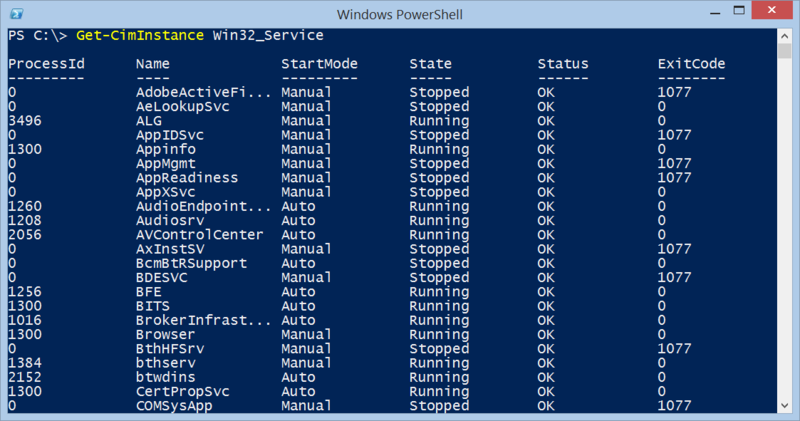 That is all there is to using WMI and Windows PowerShell to work with services. WMI Week will continue tomorrow when I will talk about more cool stuff.